Spend some time enjoying the views around Harford County! Now that the flowers have started blooming, it is time to shake off the winter memories and to head outside. So what are some new places or old favorites you should visit around Harford County? Keep reading to find out some of our favorite spots! 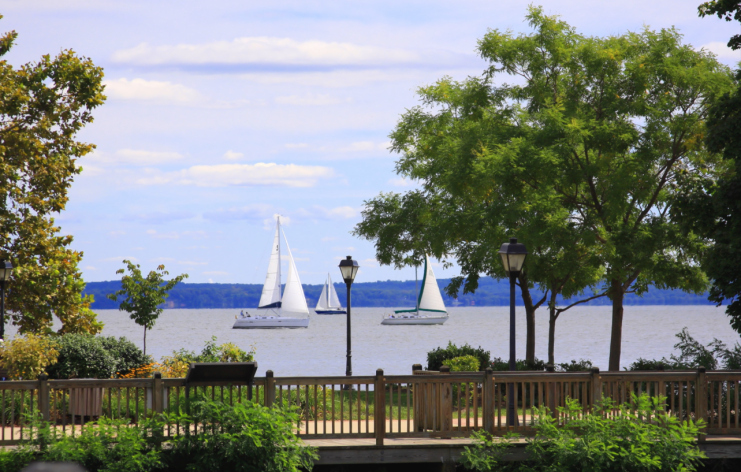 The Promenade at Havre de Grace in Harford County is the perfect place to unwind outside. 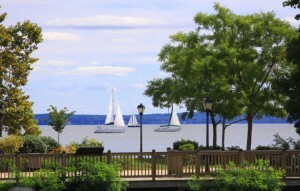 Enjoy the scenic boardwalk that spans three-quarters of a mile along the Susquehanna River. Along you walk, you will be able to enjoy birds, frogs, signs telling you which is which. Located along the Susquehanna River valley is the Susquehanna State Park. This park offers a wide variety of recreational activities include one of the most popular mountain biking trails in Maryland, fishing, and family friendly campground with cabins. Historians love the Carter-Archer Mansion and the Rock Run Historic Area with a working grist mill. These buildings are restored and kept up by the state. Rocks State Park is 855 acres of dense forest surrounding massive boulders above Deer Creek. The “King and Queen Seat” was once a ceremonial gather place for the Susquehanna Indians. The “Seat” is a 190-foot outcropping of rock with a sharp drop off. The cliff affords a view of rolling hills and farmland of Harford County. Deer Creek is popular for fishing and tubing or relaxing in the secluded glens. You can also enjoy history hikes and programs with the park staff. Be transported back in time to the 1770s when you visit Jerusalem Mill Village. Open on Saturdays and Sundays, this little village has a working Blacksmith shop, visitor center, and the McCourtney General Store. If you visit on a Sunday afternoon, you’ll be able to see the gristmill demonstration of woodworking, hearth and open fire cooking, sewing, and gardening as well as other essential daily activities from the past. Each of these places will give you a beautiful day out while you immerse yourself in nature and in the history of the area. Don’t spend the weekend in the house, get out and explore Harford County! Exploring Harford County with Harborside Village Apartments! This entry was posted on Monday, April 4th, 2016	at 2:27 pm	. Both comments and pings are currently closed.